​Please send all questions, requests for interviews, and other inquiries to tdrbach@gmail.com. Read and share the 10-page preview. 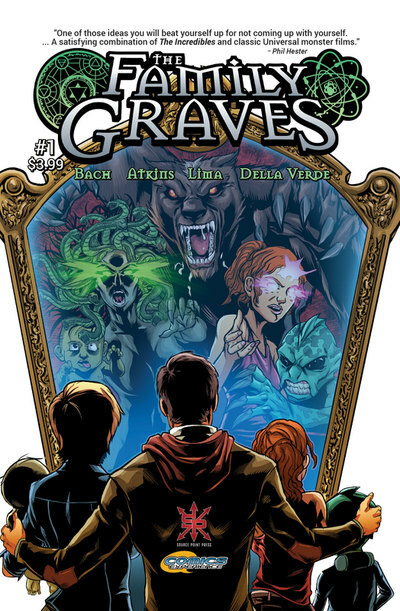 Yes, we're so confident that you're going to love this entire series, our preview includes 10 pages from The Family Graves, issue 1 (includes all four covers too). 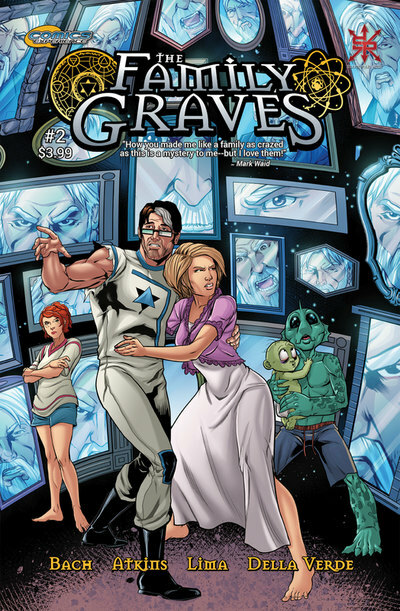 Learn more about the members of The Family Graves. 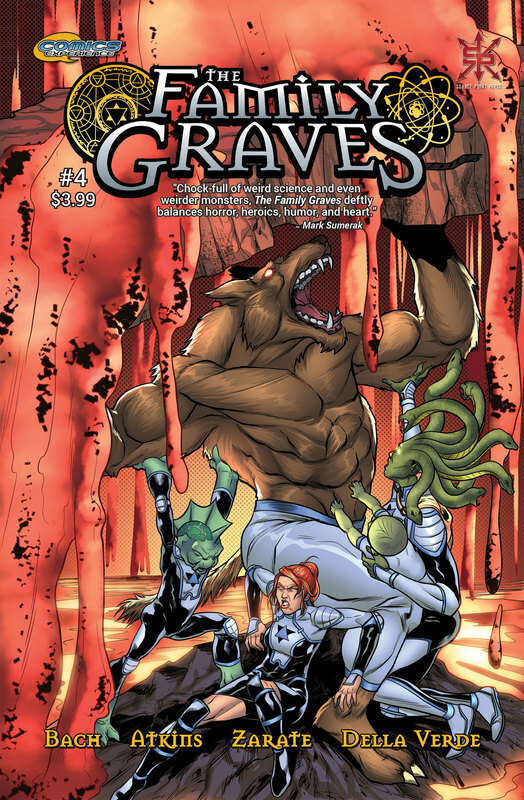 The Family Graves is a four-issue mini-series available now from Comics Experience and Source Point Press that blends monsters, family, and epic adventure. Issue 1 is available for preorder through Diamond (JUL182141) for a September 19 release. Issues 2, 3, and 4 come out in October, November, and December respectively. Creative team: Timothy Bach (writer); Brian Atkins (pencils and inks); Dijjo Lima, Ander Zarate, and Brandon Daneils (colors), Marco Della Verde (letters). 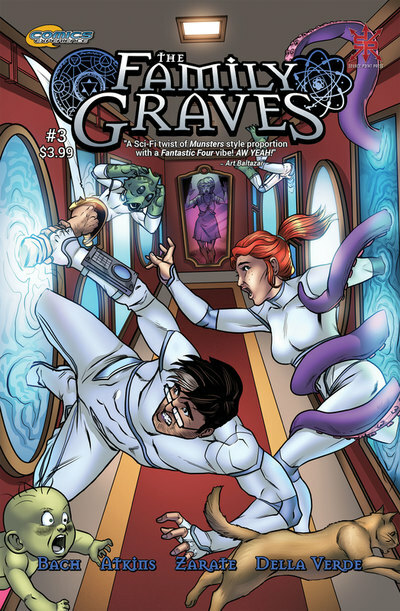 Print through retailers , the Source Point Press store, or at one of the many cons at which Source Point Press will appear. Digital at ComiXology and DriveThruComics.